Splunk is one of the popular software for some search, special monitoring or performing analyze on some of the generated big data by using some of the interfaces defined in web style. 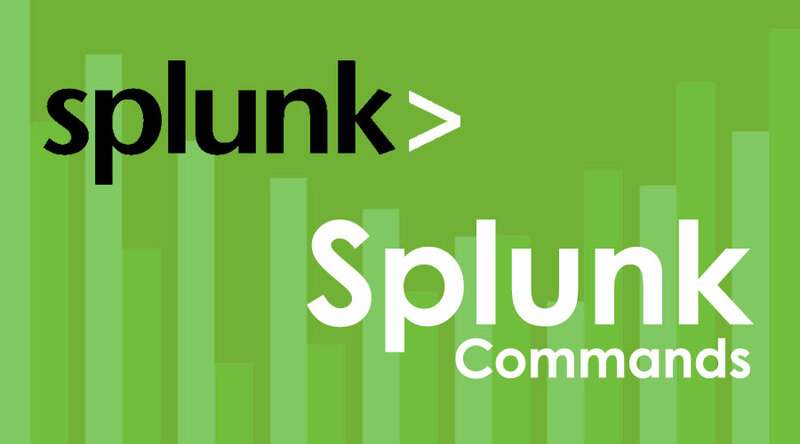 Splunk Commands is mainly used for capturing some of the indexes and correlate them with available real-time data and hold in one of the searchable repositories. Then from that repository, it actually helps to create some specific analytic reports, graphs, user dependent dashboard, specific alerts, and proper visualization. Append: Using for appending some of the results which came from searching with the currently available result. Appendcols: It is doing the same thing like above, the only extra utility is given that first searching result will always come first, the second searching result will come second and so on. Appendpipe: Helping for appending some of the results came from sub-pipeline which basically applied on the available current result with a specific available current result set. Arules: Helping for finding some of the define rules of association which are applicable for expected field values. Associate: Helping for specifically identifying a proper correlation between two fields. Cable, countable, contingency: Helping for building some of the key contingency tables between two fields. Correlate: Calculating or identifying some of the correlation of two available fields. Diff: This Splunk command helps in returning proper difference between key searching results done by the product. Join: It Helps for preparing a combination between two results, one is the main result and another one is one of the pipeline searchings of the main result. Lookup: This helps for invoking some field values explicitly by using lookups. Selfjoin: This command is used for joining some of the outcome result itself. Set: It Helps for performing some kind of set performance like intersect, minus kind of activity on the sub-search result. Stats: The statement helps for providing some statistical value or some of the grouped value which is available optionally by specific fields. Transaction: This statement helps for proper grouping of specific search result into a conditional transaction. Audit: Helps for returning all the audit trail information which can be stored easily in one of the indexes which define locally as audit index. Data model: This command is used for providing some information regarding the model object or specific data model. Dbinspect: Helping for returning information of some specific index which can be utilized later. Eventcount: Helping on returning event numbers for one define index on the data set. Metadata: Helping on returning all the data like sourcing list, sourcing type, entire indexing details with host information. Typehead: This Helps on returning heading information with some specified prefix. Iplocation: Helping for gathering information regarding provided IP address, information like country, state, city, longitude, latitude, and other critical information of the IP. Geom: It helps for giving some kind of external lookups with possible geographic location by using this Splunk command. It actually holds a lot of geographic information with JSON format, so that it can be utilized externally very easily. Geomfilter: It is mainly helpful for pointing out one specific box of one big geographical maps, it basically filtered out those who are actually pointed outside of that specific design box. Geostats: It helps for generating some of the statistical views which can be prepared as a cluster into a specific geographical bin for rendering the same into the world map. Mcollect: Converting some of the key events into some critical data points of metrics and insert those identified data points into the search head metric index. Meventcollect: It again converting indexes in specific metric data points store the same some define index tier. Mstats: This help on specific calculation define statistics which are ready with proper visualization. It mainly helps for generating some measurement, dimension, or metrics with order name on that define metric indexes. Predict: Helping on predict some future value of key fields based on algorithm define in time series. Trendline: Computing of moving specific field’s average. X11: Identifying or enabling some of the trends of specific define data by removing some of the key patterns on seasonal. For any kind of searching optimization of speed one of the key requirement is Splunk Commands. Specify or narrowing the time window can help for pulling data from the disk limiting with some specified time range. Two approaches are already available in Splunk, one people can define the time range of the search, and possible to modify the specified timeline by time modifier. Searching optimization also depends on the type of data, a source of that specific data, and how those data are actually organized. Accordingly, Splunk Command developer can introduce indexing and planning for fetching data smoothly. Splunk is one of the key reporting product currently available in the current industry for searching, identifying and reporting with normal or big data appropriately. Splunk can be used very frequently for generating some analytics reports, and it has varieties commands which can be utilized properly in case of presenting user satisfied visualization.